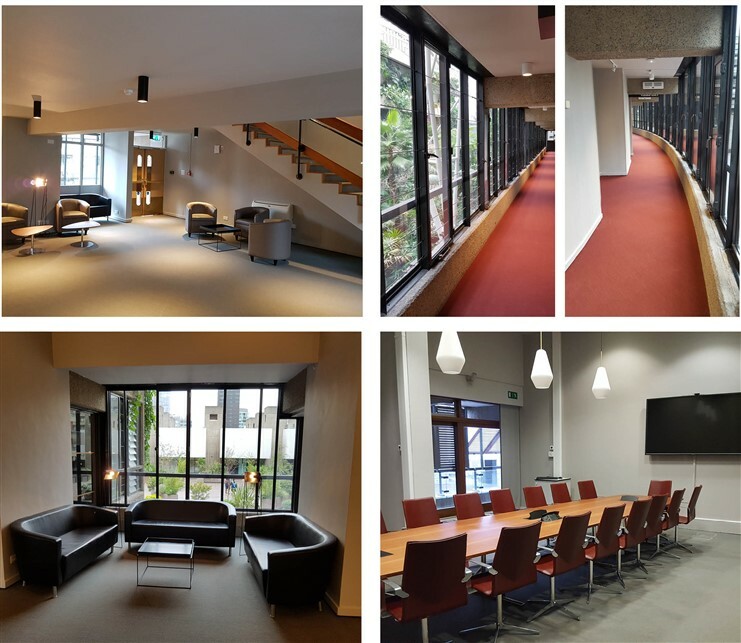 Garenne Interiors are very pleased to announce the completion of our recent Barbican Conference Centre Project for The City of London. The project comprised the CAT B fit out to the 4th floor within the Barbican Centre. Work comprised of new glazed windows along the corridor space along with new carpets and sliding and fixed new doors with ironmongery. There were all new electrics, lighting and new suspended ceiling as well as redecoration to the new foyer, meeting rooms and boardroom.